George Adrian Witt was not born, as most sources will cite, on November 9, 1933. In a bit of historical foreshadowing, the big (6-feet-3, 200-pound) right-hander known as Red (for his red hair) opted to lie about his age “a long time ago” to gain some sort of advantage by presenting himself as two years younger than he actually was.1 He also doesn’t care to relive his baseball career. Sure, he’s attended old-timer’s games back in Pittsburgh on occasion and appeared at the odd trading-card show, but he was much more enamored with track or basketball. Baseball was only, as he put it, something he “could do well enough to make a living.”2 For a guy who didn’t care so much for baseball, though, he was pretty good at it. He earned varsity letters in it as a position player in high school. (He also earned letters in basketball.) On a day when future bonus baby Paul Pettit struck out 27 batters for his Narbonne High School (Los Angeles) squad, Witt managed two hits off Pettit, including a home run. He was also good enough to receive a professional contract in the Brooklyn Dodgers farm system. A true Southern Californian, Witt was born in Long Beach, the son of an Irish oil-worker father, George B. Witt, from Tennessee, and a Dutch immigrant mother, Jacalline Vangerdinge Witt. He had a sister, Jacqueline, born August 22, 1930, and was educated in nearby Wilmington at Banning High School. He continued his education first at Harbor Junior College (now Los Angeles Harbor College) and then Long Beach State College (now California State University, Long Beach). Even after he was drafted into the US Marine Corps in 1950, during his first year in the Dodgers’ organization, he stayed in the area, playing service ball while stationed at the Marine Recruiting Depot in San Diego. He made his offseason home in Laguna Beach, in Orange County south of Los Angeles. Of course, even being good at baseball wasn’t always a given. Witt initially preferred playing the outfield, but by his own admission he didn’t hit well enough to stick at the position. In his first four seasons as a professional pitcher he advanced only as far as Pueblo of the Class A Western League (where he’d also had stops during the two seasons prior). He had three two-hitters and a 2.87 ERA to his name in 1953, but that season was preceded by a mediocre 1952 and followed by an injury-shortened 1954 (caused by elbow issues that would plague him throughout his career). He was becoming a little bitter and had reported not getting along with a number of his minor-league managers. He seemed ready to quit and use his double major in biology and physical education to become a teacher. In September 1954 he married his first wife, Mildred Powell. His prospects for ever making it to the majors seemed dimmer than ever. In 1956 Witt was assigned to Double-A New Orleans and, over the course of the entire season, had managed an even .500 record. Going 8-8 with an ERA of 3.62 doesn’t necessarily sound terribly impressive unless one considers the condition of Witt’s arm and his in-season progress. By midseason he was 2-6 and his heavy reliance on the fastball made him very hittable. The sore arm that had bothered him throughout his pro career had become so bad that Witt was reported to be unable to even raise his right arm high enough to comb his own hair. Red worked through the aches, made a change in his delivery style, going “no-windup” in a manner comparable to that of Don Larsen, and started mixing in his curveball a lot more. He ended the 1956 season by throwing two straight one-hitters. Pittsburgh rewarded Witt’s perseverance by purchasing his contract from New Orleans and adding him to the major-league club’s 40-man roster. 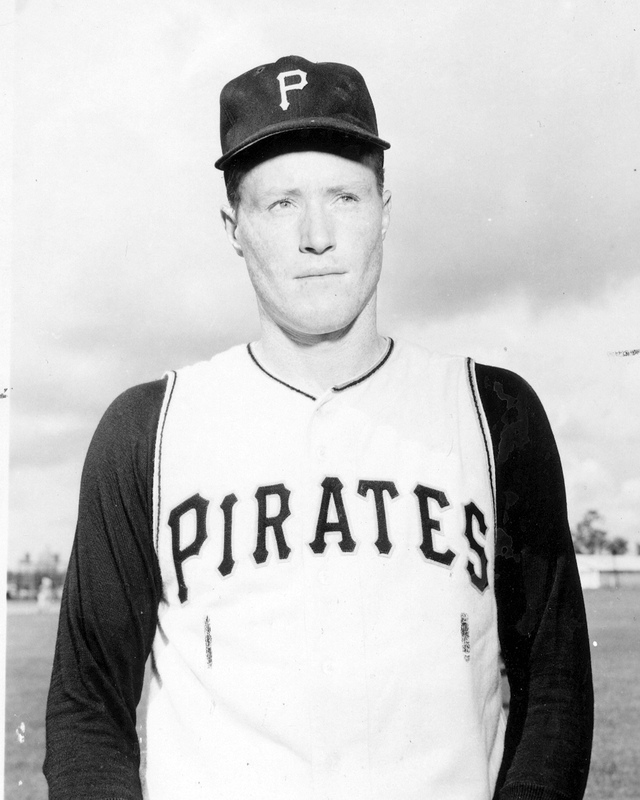 Out of spring training in 1957, Witt was optioned to Hollywood again, where he had first landed in the Pirates’ system two years earlier. This time, however, Red was ready for the Pacific Coast League. Dominant for most of the season, he posted a career high in innings pitched (184⅔) and a career low in ERA (2.24), hurled six shutouts in 27 starts, displayed excellent control (58 walks compared with 114 strikeouts), and set a league record by throwing 58? consecutive innings without allowing an earned run. He was 18-7, had earned a shot in the big leagues, and was called up in September. As widely speculated throughout the offseason, Witt found himself on Pittsburgh’s Opening Day 1958 roster despite limited action during the spring. Work remained sporadic in the early part of the season, and he was optioned to Pittsburgh’s Triple-A club in Columbus on May 9 after making only three relief appearances. While in Columbus, though, Witt got the consistent repetition he needed in his seven starts for the Jets before his June 16 recall. In his first big-league start of the year, he made Pirates fans forget all about his disastrous debut the year before and his forgettable appearances earlier in the season by pitching up a complete game, besting Sandy Koufax and the Los Angeles Dodgers, 2-1. Witt allowed not a hit until Dodgers first baseman Norm Larker lined a single to left field in the fifth inning. That start proved to be the start of something special for Witt. He stayed in the rotation the rest of the season and proved to be up to the task of facing big-league hitters. He finished with the best ERA in the National League (1.61, though he didn’t pitch enough innings to qualify for the official title) and a 9-2 record, doing his best to keep the Pirates in contention for the pennant throughout, highlighted by a pair of complete-game shutouts of the eventual National League champion, the Milwaukee Braves. The Pittsburgh chapter of the Baseball Writers Association of American named Witt the year’s outstanding Pirate rookie. Unfortunately for Witt, he never quite lived up to the promise of that rookie season. During his final spring training start in 1959, his elbow began to ache again. He was treated and cleared to play by the team’s doctor, but after four subpar starts he was placed on the disabled list and, shortly after being reinstated, lost his position in the rotation. He failed to record a win all that year, and was bothered by his elbow all season. He was 0-7 with a 6.93 ERA. Witt failed to record another major-league win until an August 4, 1960, start against the Dodgers (which followed an extended but unimpressive run with the Salt Lake City Bees back in the Pacific Coast League). During the 1960 World Series Witt played an unspectacular role, appearing exclusively in Pittsburgh’s three losses to the Yankees. In Game Two he relieved ineffective reliever Clem Labine in the sixth inning with the Pirates down by nine runs and promptly allowed a pair of inherited runners to score on back-to-back singles before retiring the side on a fly out. Game Three brought about another nonpressure relief appearance, with Witt taking the mound from Fred Green with two outs in the fourth inning and the Pirates down 8-0, and two Yankees on base, and again allowing the runners to score. A wild pitch and an intentional walk later, he finally ended the frame on a groundout, which was followed by a messy but scoreless fifth inning. In Game Six, he was asked to start the ninth. The Pirates were losing 12-0. He retired all three batters he faced. In one last flash of the great potential he had shown a few years before, Witt took the mound in his final start for Pittsburgh on May 7, 1961, facing Sandy Koufax (against whom Red had recorded his first-ever major-league win). He carried a no-hitter into the sixth inning until light-hitting second baseman Charlie Neal recorded the first hit, a solo home run to tie the score. In the following inning, Norm Larker and Frank Howard finished Witt off with back-to-back home runs. A few unremarkable relief appearances later, he was sent outright to Class A Asheville, where he finished the season, save for four innings in four games in July, still bothered by lingering elbow issues. Witt received a couple of other chances later: In 1962 the second-year Los Angeles Angels gave him a five-game tryout in April. When the Angels returned Witt to the Pirates’ Asheville club after an unimpressive showing (his ERA was 8.10), he was sold to the expansion Houston Colt .45s for another trial, lasting eight appearances. Witt wound up pitching well for Houston’s Triple-A affiliate in Oklahoma City in 1962, but could manage only 19 innings in 1963 for Oklahoma City and Denver before hanging up his spikes for good. Witt quickly found work after professional baseball. He started at Tustin High School in Orange County by coaching baseball and tennis, including tenure as the school’s athletic director. However, he remarked in a 1987 interview that such work was “like a sailor retiring getting a rowboat.”6 In 1969 he moved into the school’s science department, teaching biology and enjoying it immensely: “I haven’t had a morning yet when I’ve gotten up and haven’t loved the thought of going to work.”7 All the while, Witt did well financially by also becoming a small-time homebuilder. George Witt passed away on January 30, 2013 following a battle with cancer. He and his second wife, Ellen, lived in a house he built that looks out over the ocean in Laguna Beach, California. This biography is included in the book Sweet '60: The 1960 Pittsburgh Pirates (SABR, 2013), edited by Clifton Blue Parker and Bill Nowlin. For more information or to purchase the book in e-book or paperback form, click here. “1940 Census » California » Los Angeles County » Long Beach, Enumeration District 59-44.” n.d. National Archives. <http://1940census.archives.gov/>. Lester J. Biederman, “Hurler Back From Minors Beats Dodgers,” Pittsburgh Press June 21, 1958. —, “Ups And Downs End, George Witt Looks To Bright Future,” Pittsburgh Press, March 29, 1959. —, “Witt Aims To Make Good With Pirates,” Pittsburgh Press, March 12, 1958. —, “Witt Almost Pitched No-Hitter In Fight For Baseball Life,” Pittsburgh Post, May 8, 1961. “Colts Add Witt on Tryout Basis,” Houston Post, May 15, 1962. Ron Cook, “To Witt, baseball was unhappy time,” Pittsburgh Press, May 11, 1987, D2. Frank Finch, “Witt Shuts Door on Rivals, Opens Gate Into Majors,” Los Angeles Times, August 14, 1957. Chester L. Smith, “Buc Scout’s Faith May Provide Team With Needed Hurler,” Pittsburgh Press, March 6, 1958. Henry David Thoreau, “Letter to Harrison G.O. Blake,” Concord, Massachusetts, March 27, 1848. Special thanks to Freddy Berowski, reference librarian, National Baseball Hall of Fame & Museum, A. Bartlett Giamatti Research Library, Cooperstown, New York. 1 Ron Cook, “To Witt, baseball was unhappy time,” Pittsburgh Press, May 11, 1987, D2. 3 Lester J. Biederman, “Ups And Downs End, George Witt Looks To Bright Future,” Pittsburgh Press, March 29, 1959. 4 Lester J. Biederman, “Witt Aims To Make Good With Pirates,” Pittsburgh Press, March 12, 1958. 5 Frank Finch, “Witt Shuts Door on Rivals, Opens Gate Into Majors,” Los Angeles Times, August 14, 1957.